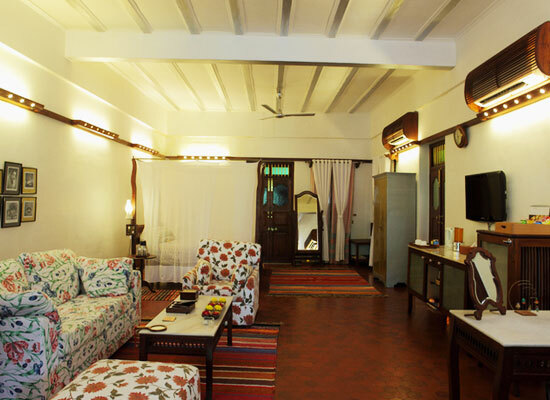 "The only boutique hotel in Ahmedabad, a stay at The House of Mangaldas Girdhardas is an experience to cherish for a lifetime. Located close to the city center and shopping haunts of the city, this fine heritage hotel in Gujarat is ideal for business executives, family vacations and honeymoons. Mangaldas Girdhardas was an influential textile industrialist in Ahmedabad in the 20th century. He built a residence for himself and his family in the center of the city in 1924 but died soon after. By 1950, his family moved elsewhere, leaving this house vacant. The Victoria Capital Ventures Ltd. took over the house in 1994 and the majestic mansion eventually came to life and became a heritage hotel. 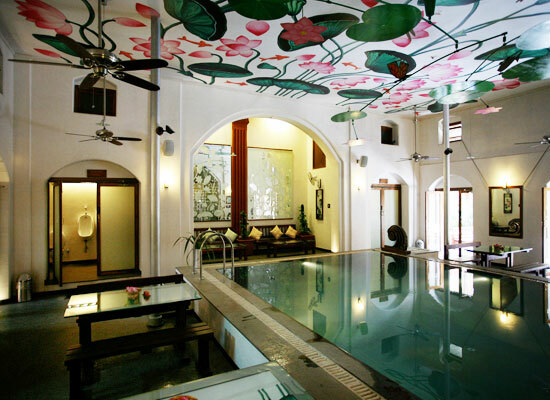 The hotels rooms are categorized as Deluxe Rooms and Suites and each boasts of a personality of its own. All provide amenities such as air-conditioning, immaculate western bathrooms with running hot and cold water, refrigerator, electronically operated safe, Internet, hot-water kettle and telephones. The room size varies from 400 sq.ft to 800 sq.ft. 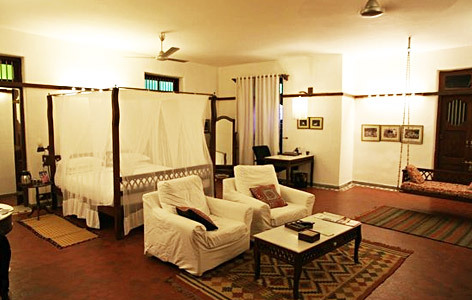 Many of the rooms also have a swing and add to the regal ambience. Agashiye: 'Agashiye' literally means ‘on the terrace’. 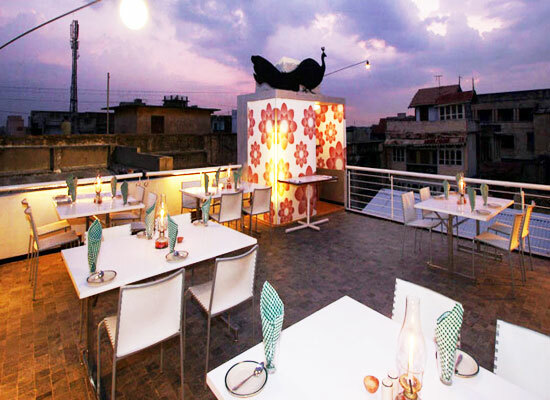 The restaurant comprises of two huge terraces. At Agashiye, the menu changes daily and according to season. 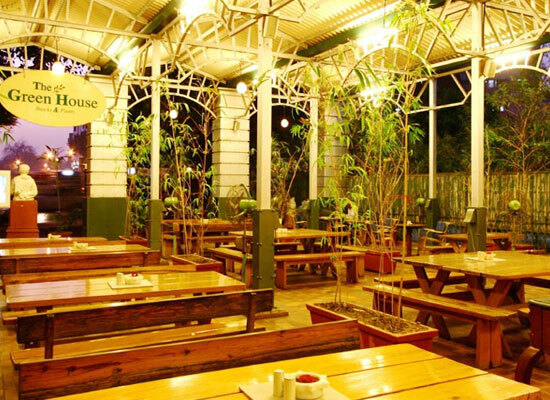 The Green House: The lovely café offers Gujarati and South Indian snacks, Indian desserts, coffees, mini-meals, juices, and hand-churned ice creams with a choice of indoor a/c and outdoors seating in a semi-open garden pavilion. You can unwind at the indoor swimming pool and the health club or enjoy exploring the city with assistance from the hotel. The largest city in the state of Gujarat, Ahmedabad is located on the banks of the Sabarmati River. A growing center of education, information technology and scientific industries, Ahmedabad remains the cultural and commercial hub of Gujarat, and much of western India.